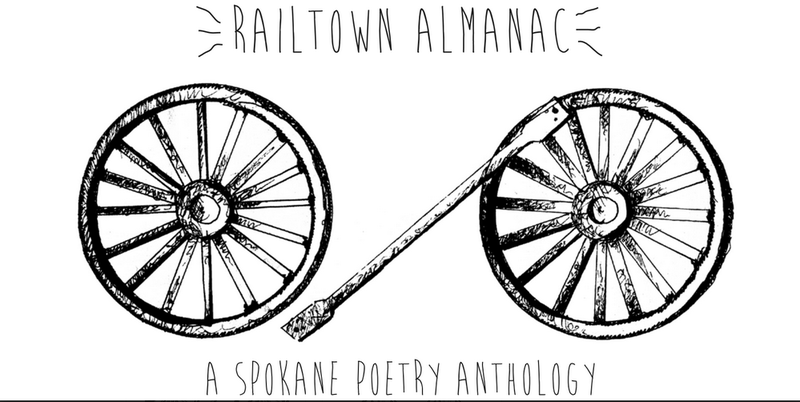 Four days left to submit poems for the new "Railtown Almanac"
In conjunction with the upcoming Create Spokane Arts Month in October, Spokane Poet Laureate Thom Caraway is overseeing the curation of a new anthology of poetry about Spokane and by Spokane-based poets, called the Railtown Almanac. While the collection has already received more than 50 submissions since a call went out earlier this summer, there's still time to submit your work for consideration. The deadline is this Friday, Aug. 15. Caraway hopes to receive work from poets and writers of all ages and backgrounds, including high school students. In an email to the Inlander, Caraway says the seed for the idea was planted after he was chosen as the city's Poet Laureate last October. "One of the things I wanted to promote was the huge diversity of talented poets living in Spokane, in so many different stages in their careers," he writes. "I think some people know about EWU's MFA program, various university reading series, and other people know about the Spokane Poetry Slam... but there hasn't really been a comprehensive collection of all the different kinds of work going on in town." Caraway was also partly inspired to create the collection after seeing the success of the local writer anthology Spokane Shorties, released in April as a fundraiser for the annual Get Lit! literary series. Railtown Almanac is to be co-edited by Caraway and Jeffrey G. Dodd, and published locally by Sage Hill Press. Writers can submit up to five poems about Spokane, or, if they're residents of the area, they can also include poems on any subject. Both previously published and unpublished work is accepted, and submissions are open to all ages and staged of writers, "from high school kids to retired folk," Caraway notes. Poems can be submitted online, via a link on the Sage Hill Press website.